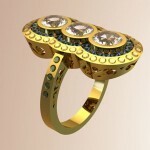 Diamonds are a girl’s best friend and when they are combined with emeralds, the effect is simply jaw-dropping. Diamonds and emeralds complement one another more than any other gemstone combination. 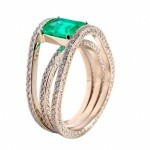 While diamonds bring on their share of elegance, emeralds add a unique kind of glamour to just about any look. 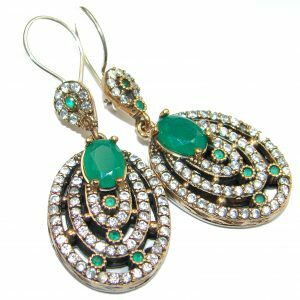 Remember how Elizabeth Taylor wore her emerald and diamond earrings with such aplomb? Those famous earrings were given to Taylor by Richard Burton as part of a parure designed by Bulgari that sold at auction for US$3,218,500. Very few women – and Taylor was one of them – can pull off wearing a full parure of diamond emerald earrings, ring, and necklace – of those sizes effortlessly. Taylor wore hers ubiquitously on many occasions and always managed to look regal and elegant each time. 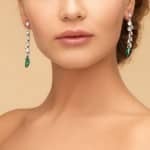 While mere mortal females will not wear their emerald diamond earrings to a movie premier or at the White House to greet Her Majesty the Queen of England, they can always wear them for a gala and black tie occasions as well as for other formal events. 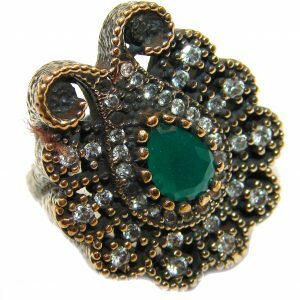 Emeralds translate to glamour, as mentioned, and can easily add the look of luxury when you wear them. Drop diamond earrings that feature emeralds, for instance, can instantly add sparkle to an otherwise simple but classic wardrobe. They also help elongate the neck and draw attention away from plain facial features. Don’t worry about being overdressed when wearing emerald studs with a pair of jeans and a t-shirt. On the contrary, you will look very attractive with this understated display of class. The show stopper at the 600th anniversary of St. Andrews University three years ago was not really the Duchess of Cambridge in her dark blue gown by Jenny Packham but the diamond and emerald earrings she donned with it. 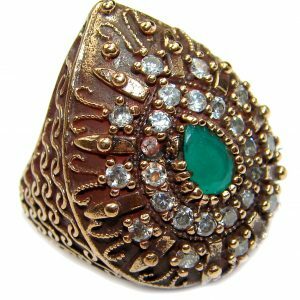 While not all of us can afford those gorgeous green gemstones worn by the former Kate Middleton, we can always go for the more affordable versions from reputable jewelry stores. But how do you choose the “right” pair of these fabulous earrings? First of all, let’s take a look at emeralds. The emerald is one of four major gemstones alongside diamonds, rubies, and sapphires. 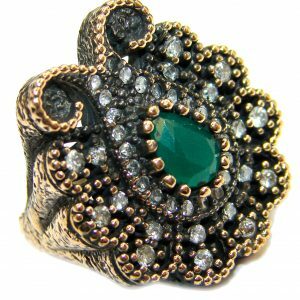 An emerald engagement ring is considered to be timeless because of its historical association with constant love and fidelity. 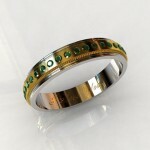 Emeralds of a deep green grass color can sometimes be priced more than diamonds. Choose emeralds that have been mined in Colombia, which is the best source for these green gemstones, Zambia, and Brazil. Yes, it sounds expensive but buying them as an investment can yield more than scene-stealing looks. The same “four C’s” used when buying diamonds are also used in assessing emeralds. 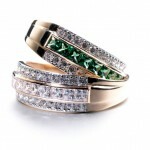 In order of significance, color, the first of the C’s, is the most important as far as emeralds are concerned. 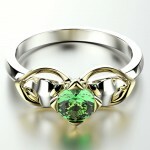 Color is the first thing that will be noticeable with an emerald. It would look either vibrant or dull. This color has three categories: tone, saturation, and hue. An emerald’s tone classifies it in “dark and light” terms. While natural emeralds are supposed to be somewhere in a spectrum between very dark and very light, this does not necessarily mean the darker, the better; saturation should also be considered. Saturation gives an emerald its strength and intensity. It can range from a dull kind of saturation in a medium-dark emerald to a light green sparkle with visible saturation in a light emerald; it seems that the latter draws more attention. Hue refers to the green color type that an emerald has. Colombian emeralds, for instance, have a bluish green hue while the rest available on the market have mainly yellowish green. The darker the tone and the higher the saturation of the emerald translate to an expensive price tag. An emerald, however, can be both breathtakingly beautiful and affordable. 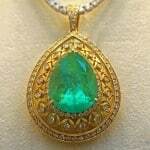 The tone, saturation, and hue can compensate for an emerald’s light green color and wouldn’t change its value. Most people who fall for emeralds with lighter tones don’t expect that they have good saturations as well. Most emeralds are sold, sadly, without reliable certificates. 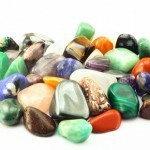 With these green gemstones, however, this condition is less of a deal breaker than it is with diamonds; with emeralds, what matters most is how they look on you and to you. Remember, though, that an emerald with good clarity will have a higher market price. While diamonds have clear grading scales for clarity, emeralds do not. Another thing to remember when buying emerald with diamond cluster earrings is that there will be inclusions – imperfections or flows – in around 99% of the emeralds that will lower their clarity grade. 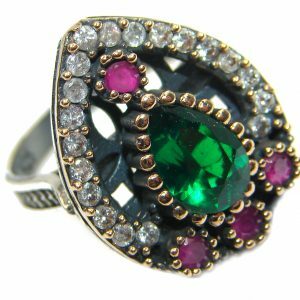 The absence of inclusions, however, should alarm you because it means the emerald may not be natural at all but created in a laboratory. These inclusions typically look like plant roots or branches. Inclusions are an integral part of an emerald’s character. The downside is that emeralds are classified by the Gemological Institute of America, Inc. (GIA) as Type III, meaning they almost always have inclusions of gas, rock salt, and liquids as well as other minerals such as vanadium and chromium. 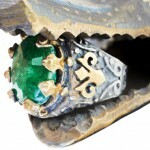 These inclusions, however, are what give an emerald its eye-catching green color. You should also be aware that these inclusions are often heavy in emeralds that around 80% to 95% of their roughness are cut away in order to produce the gemstones. This, in effect, gives a smaller yield of emeralds with higher price tags. Moreover, you need to know what kind of inclusions these are. Avoid big blotches and bubbles or inclusions that seem to be arranged in an order. Ensure that the inclusions are found under the emerald’s surface and not elsewhere. Finding inclusions on the edges of an emerald will create severe fractures when it is set and/or worn. Emeralds are not nearly as strong or hard as diamonds and are therefore more prone to chip or crack easily. That’s why in choosing diamond dangle earrings with emeralds, make sure you choose a pair with the latter set at the center. On a final note, remember that an emerald’s cut refers to the gemstone’s shape, depth, width, and faceting. The ideal emerald should have a symmetrical cut with facets that are uniform to allow paramount brilliance as well as color. When an emerald has a cut that is too deep, light escapes on its side and make it look dark. On the other hand, a cut that is too shallow will prevent its brilliance from shining. The best pair of emerald and diamond earrings should have emeralds with a square step or rectangular cut, known in the jewelry industry as the “emerald cut,” in order to maximize their rough shapes. Oval, pear, and round cuts for emeralds in earrings are rarer and more expensive mainly because a lot more rough is wasted to be able to cut into their shapes.